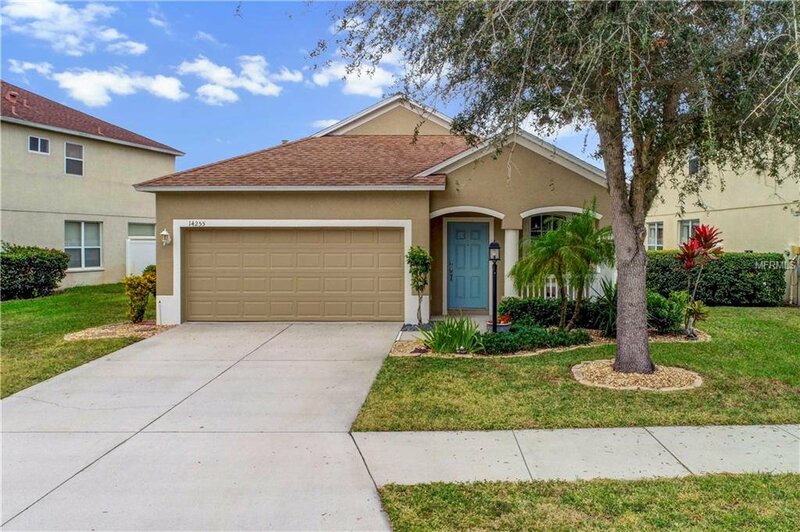 Lovely move-in ready Lakewood Ranch Pool home in popular Greenbrook Village. 3 bedrooms plus a den in this desirable floor plan offering versatility and function with a formal living area, a separate dining room plus a combination family room/ kitchen with an eat in area and breakfast bar. Nicely updated with wood cabinetry, granite counter tops, and new stainless steel appliances including a gas stove. Beautiful engineered hardwood flooring in the living areas and bedrooms with tile in the wet areas. The den has sliding barn doors and is great for a home office or a quiet study. Spacious master suite has a roomy walk-in closet, and the master bathroom has a garden tub, separate shower, dual sinks and separate toilet room. Split floor plan has 2 bedrooms with nice size closets and storage. Peaceful serene preserve views from the family room and sliders out to the screened in pool area with lots of space and a covered area for outdoor dining/entertaining. This home is perfect for seasonal residents yet large enough for year round living. Within walking distance to the elementary and middle schools. Lakewood Ranch has something for everyone! Over 150 Bike/Walking Trails, Playgrounds, Adventure Park, Dog Park, Tennis Courts, Public/Private Golf Course and numerous Clubs! Located close to I-75, Benderson Park, University Town Center Mall and 20 minutes to our Fabulous Gulf Beaches, St Armand,s Circle and downtown Sarasota! Listing courtesy of KELLER WILLIAMS REALTY SELECT. Selling Office: HOMES FOR SALE REALTY INTL.